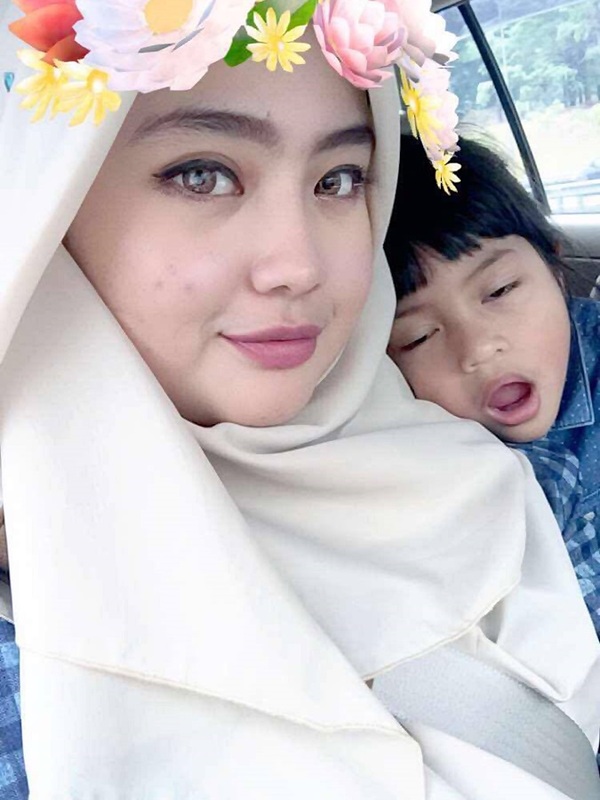 This is a story of me going to Port Dickson for baby sitting my little cousin. This happen on JULY 2016! Muahahahahahaa.... after 5 months then the story is up. Aiyooo pikaaaa~ Actually I accidentally found a file on my laptop that in contains pictures during the time at Port Dickson. Dah alang-alang tu. I story je la what happen. CLIO celebrating their opening of Club CLIO at Sunway Pyramid recently and I was invited to join this party. CLIO is a very well-known brand from Korea with the popular ambassador, Gong Hyo Jin a popular actor in South Korea. To be honest I know about this brand because of her and their commercial was super sarcastic and somehow funny-way. You should check out their commercial advertisement. Hahahaa..
" Make Your Own MAGIC "
" I Feel Comfortable in Black "
Nothing happier when you received a package from your favorite online shop right. 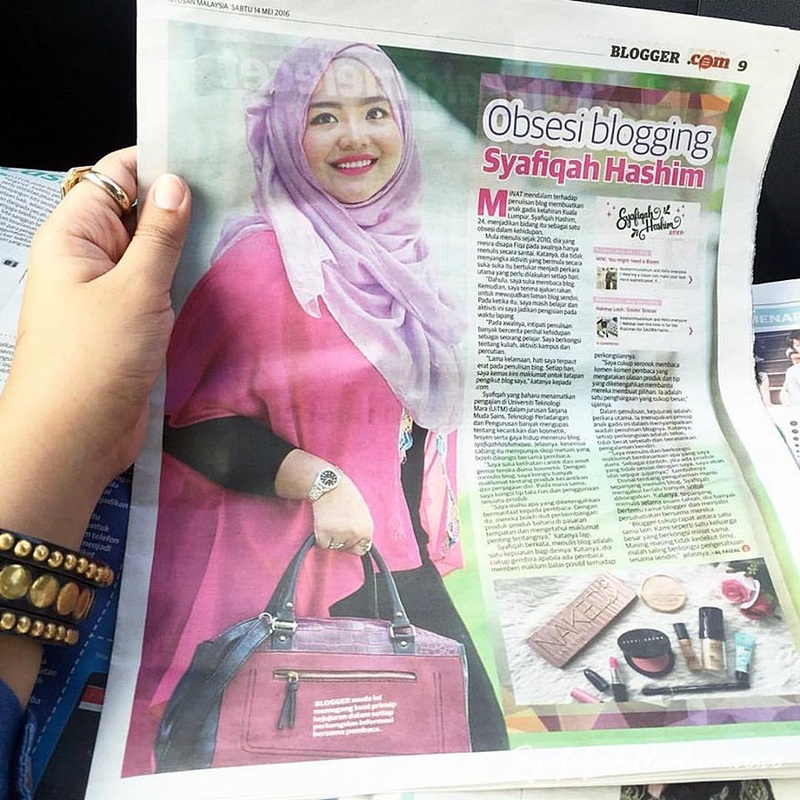 Recently I received a package from MisClaire, which is the in house plus size fashion brand in Malaysia. MisClaire specialized fashion for the plussize babes (like me) that love fashion and confident at the same time. You can get a variety clothing from Misclaire including of Jubah, dresses, Lace Dresses in flare cutting. Plus size pants in variety of size up to 9XL. I love MisClaire since I discover them about 3 years ago. So, today let me do some unboxing on what I got that also might be suitable for you. Cure Treatment is a well-known brand from Japan. It is legendary popular with the product known as Cure Treatment Natural Aqua Gel (activated hydrogen water) that helps to exfoliate and remove dead skin without hurting your skin. And recently Cure has launch a new innovated product that is Cure Water Treatment Skin Cream. I love Althea Holiday Makeup Box because it offer such a great makeup product with the lowest price! You can save up of lot with the deal they offer. I got the Althea Black & Red Box which is their Holiday Makeup Box No.2. This Makeup Box only cost you RM121.00!!! The original price was RM533.00! OMG! Discount up to 77%. *FAINT!
" Kindness is a Melody that Everyone Can Sing Along to "
Any die hard fan of The Body Shop here???? Good news to all beauty junkies and The Body Shop fans!! Now The Body Shop has mobile app. You can download The Body Shop mobile apps now and keep yourself updated with the latest promotion, deals, store events and more. I've been using Digi as my plan for almost 2 years now and I'm satisfied with the performance so far. And recently I heard that Digi came out with a The New Digi Postpaid plan! The latest plan they had surely "berbaloi-baloi". They promise more Internet quota as well as the ability to rollover unused quota to enjoy in the following month. Ohhh man!! Best gilerrr~ Everyone now use internet almost for everything in their daily life. The first moment you open your eyes, you'll reach your hand phone scroll your Facebook, Instagram and more~ *we need internet to do that! Now I can access to any apps that I want at anytime and anywhere with no worries. Since I tend to used makeup every time I'm going out for an event or any occasion this is the time for me to treat my skin. I went to Revival Medical Clinic that located at Kota Kemuning, Shah Alam and I meet the expert there, Dr Jeff Kho who consult me about my current skin condition and He give me some advice and consultation regarding my skin. He also suggest for me to try Silkpeel Dermalinfusion treatment. This is actually my first time heard such treatment. Previously I only go for the normal facial treatment. let's see how it goes.
" Keep Smiling! Because Life is a Beautiful Thing and There's So Much To Smile About "
If you a beauty junkie you gonna love Sephora right. Last week I get an opportunity going to a fun event held by Sephora at Sephora KLCC. It called as Sephora Holiday Soirée. Since it is a Holiday Seasons everyone are excited because this is the time when a Special Holiday Product are out in market and normally come with a good packaging and special deal & price.
" Find Joy in The Ordinary "
I've been wanting Becca Higlights like every time!! ever since it is available in Malaysia! Every Beauty Junkie are like raving of Bacca highlight especially on Youtube and it makes me feels like I also want them! If you went to Sephora you can see that the price for Becca Highlights is quite expensive compare to any other brand and I'm also thinking over and over again either to get Becca Highlights or not. But then, I discover the Becca Glow On The Go on the last Sephora Back Card Sales and I was surprise with the price which is quite affordable to get. I grab it right away! This is how Becca Glow On The Go looks like. I got mine in shade Opal. As a kick-start of the a month of December, I was invited to a fashion show event from out local brand call ZACHEELA. Zacheela is a brand that show latest collection for muslimah clothing and also few hijab and shawls. The collection & design selects only the best material/ fabrics around the world and provide quality women apparels and selling at affordable price. Zacheela not only offering jubah, but they also have blouse, skirt, shawl, telekung, hajj and umrah, kurta, scarf, nursing and other muslimah dresses.
" Whatever You Are, Be The Good One "
IF you ask me to choose between foundation and concealer? My answers will be CONCEALER! You can call me concealerholic. Hahahaa.. I love concealer because it is good to cover blemishes that visible on the skin. It is thicker in consistency that helps to hide imprefection on your skin. This time I want to share with you a review on Witch's Pouch Selfie Perfect Concealer. As I promise in my October Favorites post, so here it is!. Witch's Pouch is a brand from Korea that I just discover this year. Thanks to Althea that made me discover more Korean Beauty Products. Yeayyyy! Spot any product that you like? In this Superfood Box contain about 8 products from skincare and body care. Its only cost you for RM138/box. Such a great deal! If you buy this product separately it will cost you more than this. Let's see what's in it.
" Never Let The Stumble on the Road Be The End of Journey "
Isn't it great to find an Halal Product for your body care?? Introducing ASIANIC a Halal Brand for your body & hair care. Asianic is a proud Malaysian Halal Brand committed to create natural, effective, affordable and environmentally sustainable skin products. This brand founded by Wonderland Primary Sdn Bhd, that passionate about body & hair care and at the same time looking for a halal purposes. This company is ISO certified and Halal certified Good Manufacturing Practice - GMP (Practical Production standardized products). Their goal is to become a competitive company in the manufacture of advanced products with high quality and comparable to international products. Recently, I received a Mascara and Eye Charm from Shizens. I've been eyeing for the eye charm for quite sometime after I give a try of it last year at Shizens Pavilion and now I finally have it together with their Mascara. For your information, Shizens offer from skincare to cosmetic products produced by bountiful natural ingredients that are suitable for various skin type. I think Shizens is a high-end brand because each product is quite expensive if you want to compare with drugstore products. December is here so this is the time for my Monthly Favorite post! Last month was quite up side down for me but I'm okay with it, I spend my time most at home and doing some freelance works. Sometimes, I enjoy myself watching Korean drama and variety show. Hehehee.. Yet, I still not forgetting to keep my beauty regime on the point. Early November, my skin start to feel not so good I'm not sure due to what but slowly it is healing back and now it all fine.and hoping to be fine forever. Muahahhaaa. Anyway, Let's check out my November Favorites for 2016. An opportunity to discover a Christmas Beauty with Physicians Formula was amazing. Most of you especially beauty junkies, know that the America No.1 Brand, Physicians Formula are now available in Malaysia where you can purchase them at any Watsons Store near you. This brand offers a range of high quality, innovative, glamorous yet healthy products that are catered to the mass market category. This entry will be on our last day at Sabah. we're officially arrived at Kota Kinabalu. KK Town! Well, it is pretty much the same as at Semenanjung a busy hustle city life with traffic-jams and what so ever. But there is the place I'd like to highlight here and also popular among tourist that is Filiphino Market. This Market opens day and night is just that the environment are different. This is also known as local attraction. Have you heard of LUKAN before?? So, by the time I heard about this I directly google it and I found out it is actually a seashell food like kerang, lala dan so on. Once I saw it I was not that excited. So, my brother's friend suggest us one place to try this seashell food. The Place known as the original place to serve Lukan/Lokan which is Gerai Sudi Mampir. I don't know the exact location of this stall but you can 'waze' it. It just a regular kedai-kedai tepi jalan (street stall). Last day at Kundasang, Sabah before we head down to Kota Kinabalu, Sabah. Practically we spend 3 days and 2 nights at Kundasang and 1 night at Kota Kinabalu. Since the main purpose going to Sabah is for Kundasang. Hehehee.. But we still need to go to Kota Kinabalu because there where the flight is. Heavy step before we're leaving this place. After Desa Diary Farm, we go to Sabah Tea Plantation and Poring Hot Spring. This entry is continue from the my previous Sabah Travelogue. We start our morning with breakfast at the resort that day. The first destination we heading is Desa Diary Farm, Kundasang Sabah. This is a MUST-GO-PLACE when you visit Kundasang. The view in here is so good and you kinda getting a vibe of being at New Zealand. Tak percaya?? Keep on reading this..
Can you see! I'm totally feeling this time. Even-tho it is sunny yet it is not as hot as in KL. It's been more than 2 months I went to Sabah for a vacation with my family. I hope it is not to late for me to continue my Sabah Travelogue Story. Hehehee. This time I want to share where I stayed during at Kundasang Sabah. This place is quite popular and glad that my sister been there before. It is Kinabalu Pine Resort, Kundasang Sabah. OMG! I love the vibe stay at this place. Pardon my sleepy face. Hehehee.. The moment you arrived at this place you can see so many pine trees here.
" The Best is Yet to Come "
I know every parcel have its own joy. Recently I received a parcel from LAZADA called as Box of Joy. In this box contains so many randoms stuff that we might be use it for our daily life. So, let's find out what I got in this Box of Joy. Event: Clinelle "A Journey to Happy & Hydrated Skin"
Last week, I was invited to attend a private beauty event from Clinelle. 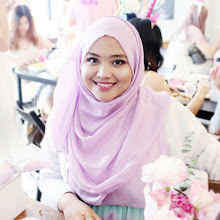 This event is exclusive for beauty blogger in Malaysia to enjoy and relaxed for a casual tea time. I love this kind of event where it make us more focus on the presentation where by it is not crowded at the same time. This beauty event is actually allow us to discover the extraordinary skincare regimen for ultimate hydration and protection from Clinelle.
" Never Regret Anything That Made You Smile "
Packaging: This is how the liquid lipstick looks like. The packaging of this liquid lipstick quite different from any other liquid lipstick in market now because it is slightly longer. it comes in a clear tube so you can see the color right though the tube. the cap/ cover was in a white color and it has simple label "ZAHARA" at the tube parts. at the bottom part as usual, where the code are labeled.
" God's Plan will Always be Greater and More Beautiful than All Your Disappointment "
" Let Life Surprise You "
Hahahhaaa.. I know I'm late for this but I'm still wanna update my last month favorites! Early this month I'm a bit busy so I couldn't update this entry on time like usual. Hihihiii.. Anyway, let's check out my October Favorites!!! Venue: THE FACE SHOP, Pavilion Kuala Lumpur. Last Saturday was a great kick-start of my weekend with my blogger buddies. We're here to celebrate THE FACE SHOP 5th Generation Flagship Store, Pavilion Kuala Lumpur. Most of beauty lover surely know this brand right. THE FACE SHOP is a well-known brand from Korea and the products that they provide mostly inspired by nature. They believes that there is natural beauty to everyone. THE FACE SHOP has changed to new identity for their 5th Generation Flagship Store that is a combination of Elegent Cassic and Modern. Just to inform you that THE FACE SHOP Pavilion Kuala Lumpur has relocated to Lot 4.52.01 Level 4 Pavilion Kuala Lumpur.
" Wake Up with Determination, Go to Bed with Satisfaction "
This Miracle Duo from Olay Regenerist is the best solution for all women out there who are concerned about anti-aging. Every woman deserves to explore and get access to the best skin care and ensure that the skin care they have is scientifically proven, aesthetically pleasing and have knowledge about their product. This miracle duo is a skin transformation for women of all ages. Actually, during the sales, i went to 2 different Sephora outlet. The first outlet is at Sunway Pyramid and second outlet is One Utama. Of course I got at different day. Have you ever think of wearing any PINK Contact Lens? Hehehee. Cause I did! Hehehe.. This is another contact lens review from me that I recently in love with from Bausch & Lomb. It is Lacelle Diamond Daily in Pink Rose. I know it is not 'normal' to choose Pink as your iris color but why not?? Worry not, because Lacelle Diamond Daily in Pink Rose is not that obvious like in shocking pink or neon pink or something. It is not that obvious unless you view it from a very close and under light/sunlight. Tadaaa~ This is how it looks like in a natural daily light on me.
" Where Flowers Bloom, So does Hope "